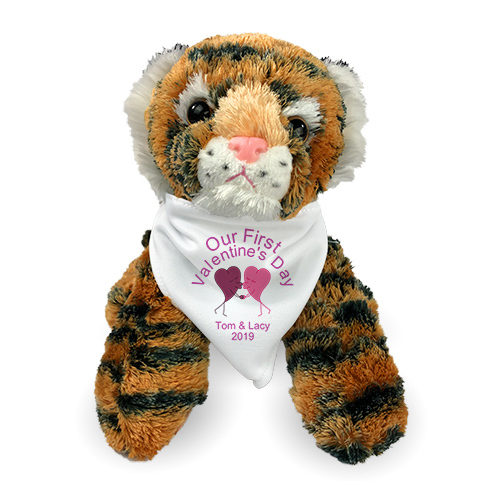 Personalized Kissing Hearts Tiger - 12"
Whether it’s your first, second or thirtieth Valentine’s Day, celebrate it with our lovable tiger this romantic holiday. 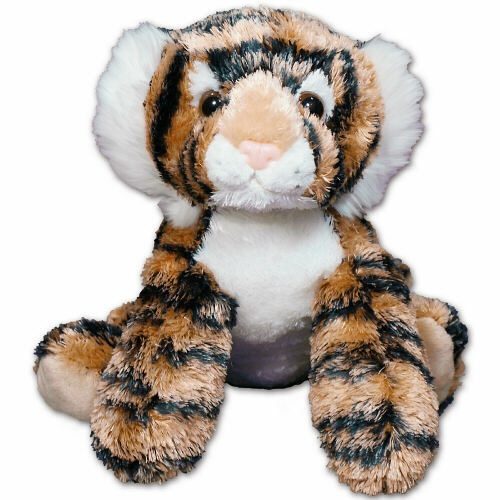 This plush tiger gets your heart purring with his silky plush fur, beady brown eyes and tiny pink nose. Make him truly yours when you add any design and custom message for free! Tony Tiger measures 12”. Gift wrapping and card are included with this gift to create a thoughtful presentation. I received the item and it was better than expected. 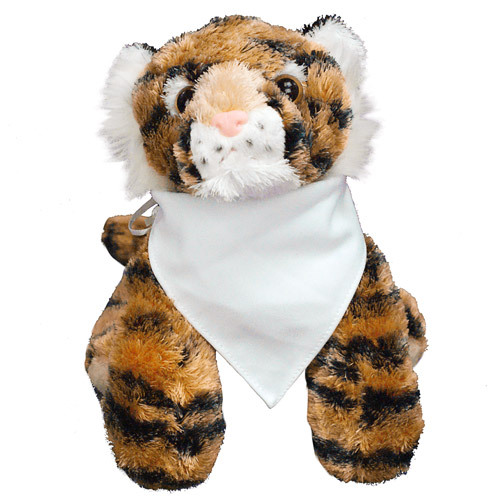 Rub your paws on Tony Tiger and get lost in his stripes! Tony Tiger is a soft mesmerizing buddy with his contrasting white fur on his belly, mane, eyes and ears! Spend hours of admiration with silky plush fur and velvet paws, cute little pink nose and adorable brown plastic eyes. Tony Tiger by Aurora Measures 12" Long. Free gift wrapping and a free gift message is included to create a thoughtful presentation.